Well the weather over the past week has certainly taken a turn for the worse, hasn’t it? It’s still August, which should mean it’s still summer! Some people have been quick to say that summer is now over, but come on guys, let’s be a bit more positive! When I received an e-mail from Ginger Pig yesterday talking about their #SaveOurSummer campaign, it certainly made me smile. Obviously a company selling meat for BBQs is going to want to encourage people to keep in the summer spirit, but I’m all for supporting it. Why should BBQs be limited to the summer months? In Cyprus we used to BBQ pretty much all year round. Sure, it was warm most of the year round there, but we even did it when we lived in North Yorkshire! There are photos somewhere of my Dad hunched over a BBQ with a big golfing umbrella in the pouring rain. If I ever manage to find them, I’ll scan them and add them in here, as they’re quite amusing. It was some serious determination! 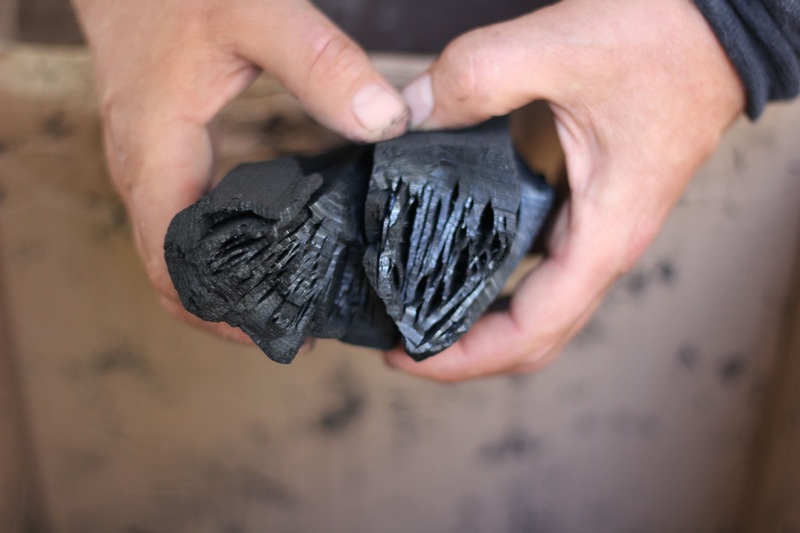 As part of the #SaveOurSummer campaign, Ginger Pig are currently promoting their partnership with The London Log Company, offering customers an exclusive blend of charcoal, previously used only in London’s top restaurants. ‘Chef’s Blend’ charcoal is the highest grade from The London Log Co., and like Ginger Pigmeat, is used in all Hawksmoor and Foxlow kitchens as well as other top restaurants in the capital. It is a mix of Beech, Birch, Oak & Ash with a little English fruitwood, made traditionally in small batches with wood from sustainable English woodland. When lit, the charcoal has rich and deep aromatic notes with a light sweetness from the fruitwood which compliments the meat being cooked. It is also highly carbonised. This means it’s very easy to ignite, making it perfect for low and slow cooking as charcoal can be added to the fire throughout cooking to keep the temperature consistent, ensuring the meat on the grill, whether it be beef brisket or pork shoulder, is cooked perfectly. Chef’s Blend is exclusive to Ginger Pig, and available to buy until late September at Ginger Pig’s Clapham, Shepherd’s Bush, Hackney, Barnes and Marylebone shops. A 5kg box with a user friendly guide of tips and cooking suggestions, is priced at £25 each. As I’ve mentioned in some of my previous blog posts, my lovely sister in law and her partner are planning to buy us a BBQ for our new home as a wedding/house warming present. As soon as we’ve got that set up, we’ll be trying this charcoal out for ourselves! So come on people, don’t get the stews and casseroles on the boil just yet. 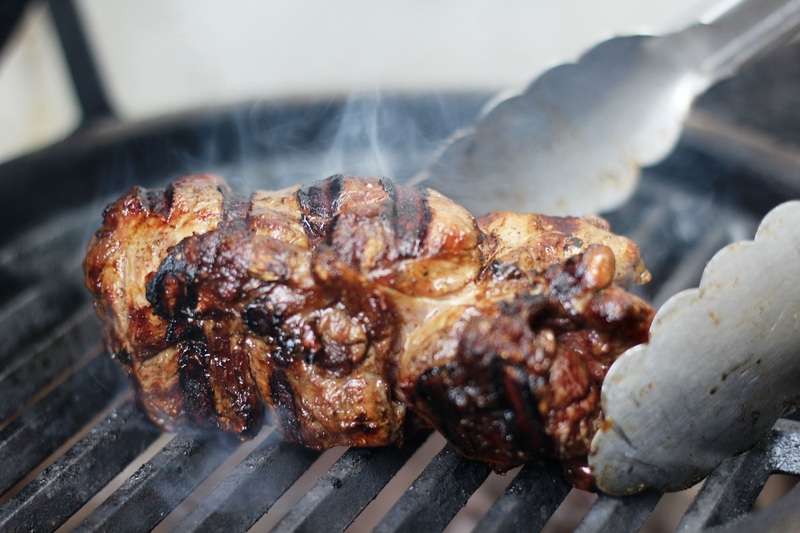 We’ve still got time for some sizzling steaks on the barby!